Your finance and accounting team can benefit greatly from software solutions. Just think of the piles of receipts they must process and check manually, month after month. It is inefficient, risky, frustrating and a waste of time, money and important human and material resources to proceed this way. Optical Character Recognition (OCR) is a process that converts text on paper to digital text you can edit. It works both for scanned documents and for images. In other words, the receipts your employees submit or check manually can be processed automatically. Learn more about OCR solutions and see how you may embrace this technology. Increased levels of fraudulent practices and human errors cost your business a lot of money, but an OCR solution will help you avoid these situations. You could include a new rule in your travel and expense policy which states that employees must scan their receipts with the OCR solution in real time, while on a business trip. This will improve your T&E reporting and will eliminate errors, duplicates, asset misappropriation, etc. An OCR solution will also allow your auditors to focus more on analyzing the information in your reports rather than spending time collecting data and looking for missing pieces of data. After each audit, your specialists will be able to come up with alternative solutions that allow you to save more money with travel and expenses. No matter how focused or well-intentioned your employees are, they are human beings. Errors and duplicates can happen when data is submitted and reported on manually. 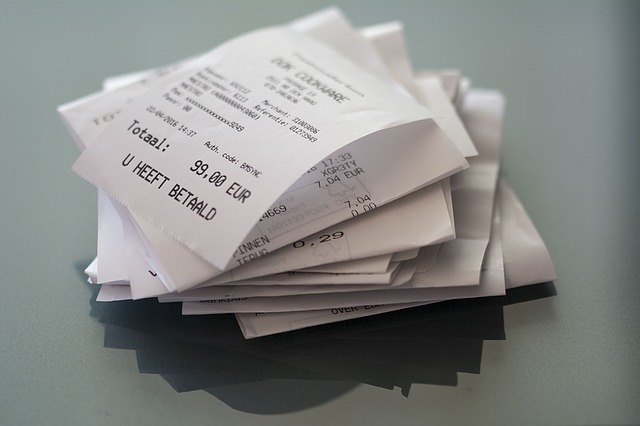 Especially when employees must process a large number of receipts, they get bored with this repetitive task which ends up costing your company money when human and material resources are used ineffectually. When you start using an OCR solution, these tasks are taken care of faster, but also with increased precision and accuracy, and you spend less on operational costs. OCR brings benefits to each of your employees. Those who often go on business trips can use an OCR app to scan their receipts immediately and avoid spending time entering data manually, while having permanent access no matter where they are in the world. In the meantime, your financial team can download, store, compare and analyze the submitted data automatically, with quick access to all the information they need to create a report. What to focus on while searching for the right OCR application? Anytime you choose a new technology, you expect it to bring a certain added value to your teams' efforts. One of the most important factors to focus on while researching an OCR solution is the user experience. You really want to invest in a new technology that your employees will understand and be able to learn quickly. When you find an intuitive and user friendly solution, your employees will be more than happy to use it, knowing how much time they can save thanks to OCR. Scanning, storing and sorting a large amount of receipts will no longer be a burden, allowing you to focus on tasks that are more valuable to your company’s success. When your receipts are submitted manually and you only have a physical copy of these documents, it becomes an operational challenge for you to find or verify certain information regarding your last 30 days of travel costs, for example. Therefore, one of the most important criteria when choosing an OCR solution is permanent access to your data. Your financial documents and records must always remain private, some of them may even require special storage protocols or verified access depending on who in your company is looking for information. Which is why OCR software must assure your confidentiality policy is upheld with advanced security features. When you scan a receipt, the OCR must be able to identify the most important fields: the date, supplier, gross amount, city and VAT. The OCR should check these fields on the receipts uploaded by the users in the application and compare the information on the receipts with that entered by the users. To enjoy the benefits of an OCR solution, you must be sure that it recognizes every detail you need to capture in your mandatory records. You need to ensure that the OCR provider you choose is indeed capable and experienced and understands your needs and your business so that your company can enjoy each of the benefits mentioned above.